Here is how I did it. Get it downloaded from apple (here: https://developer.apple.com/downloads/?q=font ) and run these. Apologies if I forgot any parts but that is basically it. This is extremely annoying. The font tools are only available as Release 4, beta 1, and nothing has changed since 2011-10-11. 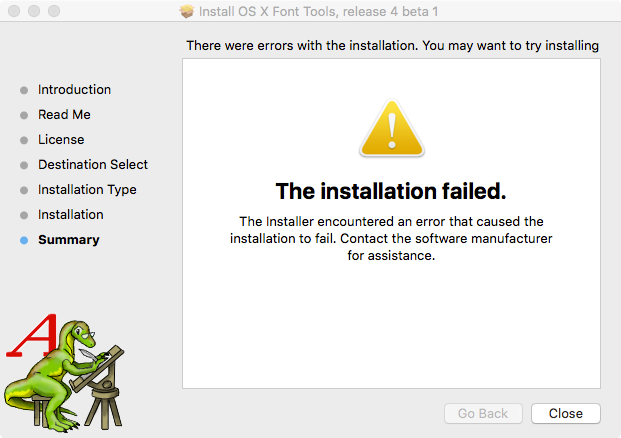 And now, on top of that, the installer fails on OS X 10.11 El Capitan. The reason why the font tools can no longer install on El Capitan is most probably the new System Inegrety Protection (SIP). Among other things, it prevents certain critical System directories from being modified. The current font tool beta 1 release predating El Capitan by many years, it does not take the SIP into account. Instead, it tries to install the font tools into /usr/bin, one of the directories protected under the SIP. This will fail. If you have time machine backups of a system where the font tools were installed, you may copy the font tool executables from /usr/bin to an executables folder on El Capitan, e.g. to /usr/local/bin. You especially want to move the font tool executables that begin with ftx. 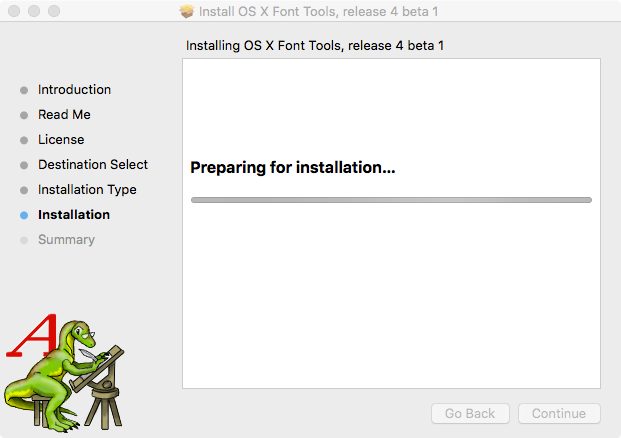 You can unpack the OS X Font Tools.pkg file and install the font tools manually, see How to unpack and pack pkg file? or Unpacking an OS X pkg file. You might be able to install the font tools after disabling the SIP. This can be achieved by following the procedure outlined e.g. in How to Disable System Integrity Protection (rootless) in OS X El Capitan. When the SIP is disabled, a modification of /usr/bin should be possible again. Hopefully, there is nothing else that prevents a successfull installation of the font tools. Afterwards, it seems like a good idea to turn the SIP back on. I do not know what happens to the font tool executables that have been added to /usr/bin when turning the SIP back on. I guess they might be moved to another quarantine directory. In that case, you can follow the same procedure outlined in the previous section (Updating from a system where the font tools had been installed). If turning the SIP back on completely eliminates the font tool executables from /usr/bin without making any quarantine backups, you may copy to executables to another location such as /usr/local/bin before turning the SIP back on. Additionally, all of those ftx* files will be in the current directory. If you want a more comprehensive start-to-finish guide, I wrote a blog post about this on medium. The current release is Font Tools for Xcode 8 beta 4, released on 2016-08-01. Not the answer you're looking for? Browse other questions tagged el-capitan font . Can I install OSX 10.11 El Capitan on a 2016 MacBook Pro touch?